On Wednesday November 14, 2018, the New York Times declared war on Facebook. Under the guise of an article titled “Delay, Deny and Deflect: How Facebook’s Leaders Fought Through Crisis”, the Times lambasted the social media giant accusing the company of internal turmoil at the highest management levels and dubious lobbying activity beginning in 2017 and into 2018. 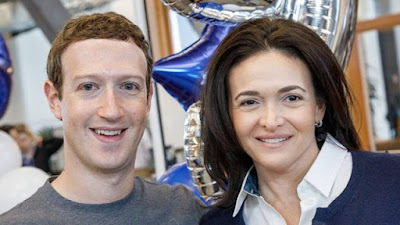 The Times expose paints Facebook’s Chief Operating Officer Sheryl Sandberg as an evil figure on the order of the evil queen Maleficent who personifies dark cloud of social media willing to use every insider tool at her disposal to ensure power and influence of her company. The article also paints Facebook founder Mark Zuckerberg as a disingenuous two-face who pretends to care on the outside but has the persona of a heartless automaton on the inside. That’s a pretty strong and caustic accusation. Interestingly, also an accusation that’s been leveled at social media’s primary rival for political influence, the mainstream media that the New York Times is very much a part of. The specter of selective and biased journalism, so-called “yellow journalism”, isn’t new. The phrase “all the news that’s fit to print” goes back to newspaper tycoons like William Randolph Hearst. The Times has certainly done it’s share of participating in the “resistance” to the administration of US President Donald Trump and is a hardly considered a bastion of fair and balanced reporting anymore as it struggles to maintain market share in its very crowded corner of the media industry where liberal slant publications are packed like sardines into a dwindling total readership base. And honestly, the New York Times spoke with a forked tongue itself last week. The expose attacked Ms. Sandberg for using her Democratic Party connections particularly with Senator Charles Schumer as a vehicle to stem threats to her firm inferring the possibility of either expensive influence buying or possibly even political collusion. The echo chambers on the internet picked up the lead right on cue turning the senior senator from New York into a lightning rod for criticism. And if you think that’s accidental, I have a bridge for sale. The forked tongue by the Times came in the form of an opinion editorial published on November 16, 2018 by columnist Michelle Goldberg titled “Democrats Should Un-Friend Facebook” where Ms. Goldberg turns the tables and accuses Facebook of being responsible for helping Republicans win politically by giving them access to the platform; an opinion many Conservatives see rather oppositely. If you think this isn’t a classic political “trial balloon” article too, I’ve got another bridge to sell you. Personally, I’m very suspicious of the New York Times’ motivations. The bottom line is that NYT thinks social media’s biggest platform is bad for their business. And well they should, like most print businesses, the “Gray Lady” has seen circulation decline since the arrival of the Internet and is down to around 500,000 printed copies per day, half of what it was in 2008. The New York Times, a for-profit business, has turned online circulation currently estimated at around 2.9 million users including paid and unpaid readers of its articles. When you go on the net, you run into Facebook. Facebook has 2.27 billion users worldwide with 240 million of them being in the United States. On its best day, NYT is one percent of Facebook USA and 1/10th of a percent of Facebook Global. In a lake full of big data, the New York Times is a guppy. And on a social media engine like Facebook where content either has to be placed by purchasing positioning using FB’s advertising engine, which cuts into profitability, or virally cited by one of those 2.27 billion eyeballs, or a “bot” masquerading as an eyeball, they’ll remain a guppy. Is the “Gray Lady” a sacrifice on the altar of Silicon Valley? Never ever make the mistake of thinking any “flame war” that erupts on the internet does not have a reason. And in this case, the reasons are not hard to find. What the New York Times describes as a “distraction of personal projects” for Mr. Zuckerberg and Ms. Sandberg are their very focused efforts to execute a strategy of eyeball / mindshare ownership of the internet through a series of strategic acquisitions and cross platform integrations to span generational silos such as Facebook’s acquisition of Instagram and the ascendance of their Messenger system to become one of the primary means of one-to-one communication on the Internet. Team Zuckerberg has been displacing competitors such as Yahoo, Google and Microsoft’s Skype using a combination of public forum and private messaging tool offerings. In some countries, it’s become the primary means of communications supplanting even text messaging because FB Messenger doesn’t cost phone users per message charges or have phone records of traffic that prying governments can monitor in real-time. All this is a preparatory staging to Facebook’s next monetization step on the internet, establishing advertising, marketing and transaction fulfillment space on the internet. By owning the audience’s means of communication, Facebook seeks to undermine and disinter-mediate some of the position of established online shopping giants such as Amazon, Ali Baba and eBay. Notice please, the global nature of the business case scope and the titanic sizes of the behemoths jockeying for position. Notice further that the other Kings of Silicon Valley are acquiring media companies. Amazon’s Jeff Bezos just bought the Washington Post and is placing a “yuge” headquarters presence in the City of New York. Other acquisitions include Saleforce’s Marc Benioff bought Time and Laurene Powell Jobs, the widow of Steve Jobs, bought The Atlantic. Mr. Bezos’ corporate presence will make him one of the bigger tenants in a town that has an inconvenient truth vacancy space problem. You really think part of the calculus of someone like Bezos isn’t to counter the eyeball ownership advantage of Facebook/Instagram, Twitter, et al? Wake up and smell the coffee. In an interview for Recode.net November 5, 2018, NY Times publisher A.G. Sulzberger was quoted as saying “the New York Times is not for sale”. That may not be a position he can maintain forever. In social media, even the best edited long form article by a publication like the Times has to compete on a level playing field basis against the virality of a Tweet by @realdonaldtrump or an article on AmericaOutLoud by some schmuck named Santiago. I cannot imagine that this “new normal” does not drive NYT’s management bonkers. The internet took control over deciding what “news is fit to print” away from them. But let’s unfold this evolution of new media vs. old media one additional unveiling of the curtain further and ask, is Facebook evil? It’s certainly huge. It’s certainly rich. It’s certainly coming out of a phase of innocence where the presumption that content would sort itself out because people are smart and able to tell real from fake and objective from manipulative has given way to realizing that an open platform will be taken advantage of by interests motivated by all manner of subterfuge in the name of some end justifying the means. Is it evil to have been naïve? Is it diabolical to have designed a content micro-casting engine so well, it allows 2.27 billion people on this planet to have their own personalized virtual world bubble? Was there intentional malice on the part of Facebook or the other social media engines to disrupt the social fabric of the United States and turn it into an animus filled Balkan morass? Honestly, I don’t think so. I have seen nothing so far that indicates that Facebook has done anything but deliver a perfect bubble for every eyeball. I see perfectly well that this is how an engine that caters to human interests and intentions should be technically designed to work. Such systems create new ecosystems, clusters and networks of affinities, what humans call groups of friends. I can see that the creators of these system would want to eventually monetize their efforts into markets as a classic extension of age of electricity Marshall McLuhan Madison Avenue marketing and advertising theories. And I can see that these disruptive innovations on the internet would eventually cause a massive shift in how information and economics flows through society. What I do not think Mark Zuckerberg ever dreamed would happen in this college dormitory was that evil humans would exploit his platform and use it as a mechanism to recruit armies to fight culture wars. But that’s the problem that now besets the company he founded. And I’m not really sure that responding to a curve ball like this would not make anyone stumble a few steps coming to terms with it. But I’ll assert this next. What people with dark hearts fear isn’t so much that Facebook can be used to exploit the frailties other humans. No. What they fear is that Facebook is still an equal playing field where any group can try to get away with something. What they fear most is that their enemies will succeed before they do. I think this is why you see efforts to impede companies like Facebook from implementing future technologies on their platforms that can keep playing fields fair appearing in the sphere of public policy debate. The last thing that dark forces want is to allow social media to continue to improve so that their subterfuge becomes instantaneously transparent. And those dark forces come in many shapes. I would highly recommend to Ms. Sandberg and Mr. Zuckerberg to grab the complete video log of the “After the Digital Tornado” conference held in December 2017 hosted by Kevin Werbach at the Wharton School. I attended this symposium held just four months after the date of the meeting noted in the New York Times article. It was where the leading academics first labeled the big internet companies including Facebook as dangerous entities that needed to be brought to ground by constraints and regulations. I was an uncomfortable practitioner at this gathering of academics and did not agree with their conclusions. However, their research and theories continue to manifest and work their way into public policy. Then again, the internet moves far faster than academia or government realize. I can tell you right now that somebody at Facebook is going to read this article and from here they will eventually find one I wrote sitting on Arianna Huffington’s Thrive Global “Three Steps to Take Control Back from the Media Anyone Can Do”, https://medium.com/thrive-global/three-steps-to-take-control-back-from-the-media-anyone-can-do-924e8a4b518e. And from there I bet it’s just a matter of time before social media platforms will all learn to un-spin yellow journalism for users in real-time, identify the actual agents behind agendas, laudable and nefarious, also in real-time, and educate people in how to actually get to the real source material behind the noise and digest it in real-time. Then we can return to the presumption that content will “sort itself out” because social media will assist people to be smarter and able to tell real from fake, objective from manipulative. Whether there’s still a place for outlets like the New York Times in the form it exists in now when that time comes, who knows. And to be frank when that time comes, who will still care?